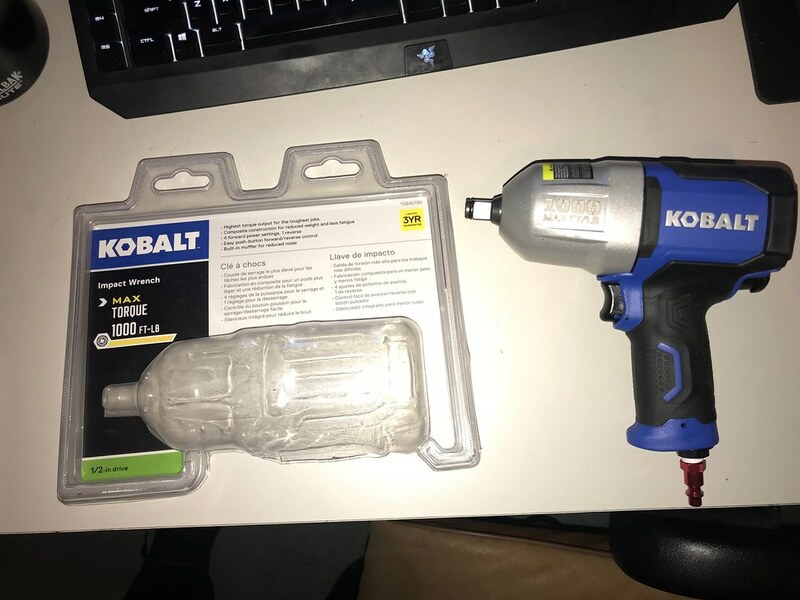 FS: New Kobalt 1000-ft Impact Wrench 1/2"
Thread: FS: New Kobalt 1000-ft Impact Wrench 1/2"
Kobalt SGY-AIR236 1/2" impact wrench. Bought it late last year, went to use it for the first time and the motor on my air compressor failed while filing the tank; so its basically brand new still. Ended up buying a portable battery impact so I dont need this one anymore. $100 and it's yours. Comes with a standard air fitting too.